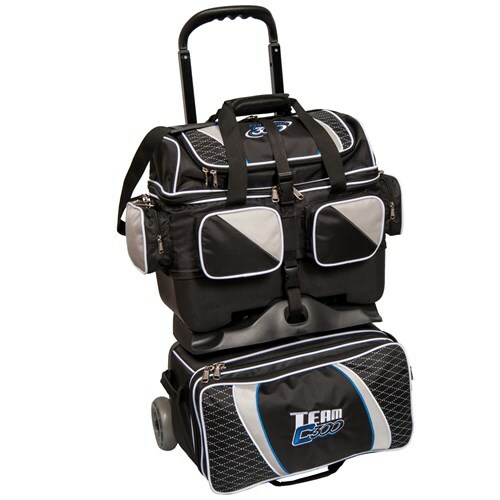 Join the Columbia team with their Team Columbia 4 ball roller bowling bag! 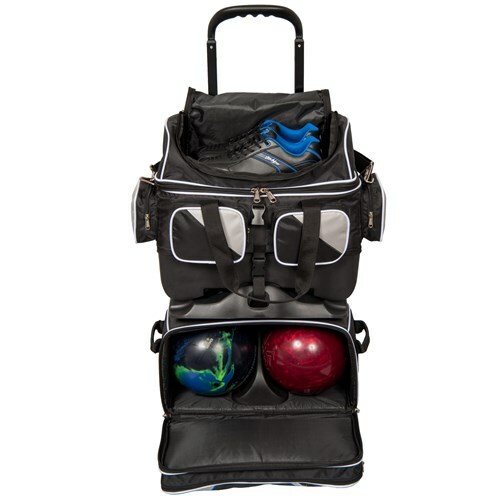 This bag is packed with high performance features that will satisfy all your bowling bag needs. This ball is made of a tough and durable 1680D fabric, has premium YKK luggage zippers, and 5 inch Smooth KRuze wheels. This 4 ball roller offers versatility through its removable top bag that can serve as a fully functioning deluxe 2 ball tote. 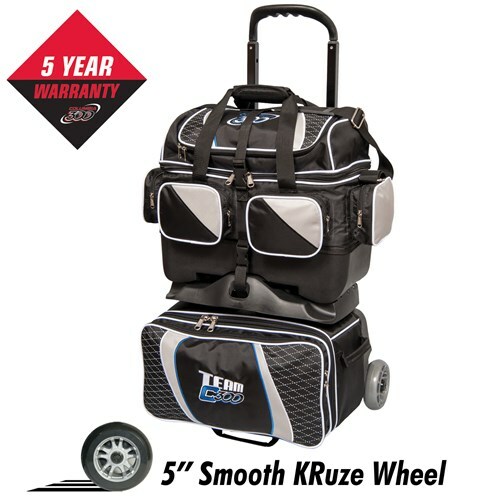 This bag is easy to load and has several pockets for all of your storage needs. All of this is covered by Columbia's 5 year limited warranty. Retractable square locking handle extends to 45"
I like the bag just a few things I think they could have done better like have the two bags lock alittle better...I,m just saying!!! The handle will retract in flush with the bag. How do you get the handle all the way down to bottom? The handle will go down and be pretty flush with the top bag but it will not go down to flush with the bottom bag. If you remove the top bag the handle can go down some but due to the telescoping handle it will not go down flush with the bottom bag with the top bag taken off. It will still be sticking up a little if the top bag is removed. Due to the time it takes to produce the Columbia Team C300 4 Ball Roller ball it will ship in immediately. We cannot ship this ball outside the United States.